It has been said, taking a bath with a natural hot spring is definitely good for both your skin and health. Then why will you waste your time? Let’s pack your things and travel to one now! There are so many hot springs around the world. In Thailand, hot springs are considered to be ones of the best, with nature surrounding and relaxing atmosphere. 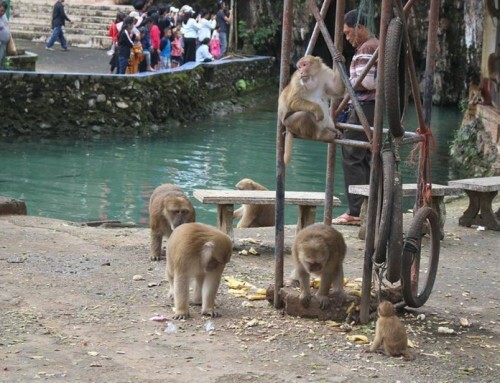 They attract so many tourists, both Thai and foreign. If you are interested in going to a hot spring in Thailand, but you can’t decide which one you should go to, then take ‘Huao Hin Fon Hot Springs’ as your choice. This is a small hot spring place within Chiang Rai. Huao Hin Fon Hot Springs is also known as ‘Pa Tueng Hot Springs’. It is not as big as San Kamphaeng Hot Springs in Chiang Mai or some other place. But it is definitely a lovely place for family members to go on holidays and spend a great time together. The whole area is quite full of trees, which makes the atmosphere so relaxing. The water is guaranteed to be clean and natural, with about 70-109 degree Celcius. The water can spring for about 10 metres. You need to be careful. Don’t get to close to the springing water, or your skin may get hurt from the hot water drizzle. When you reach Huao Hin Fon Hot Springs, you don’t have to play the water immediately. You can just explore the place, have a sightseeing, have a picnic, take photos, sit in a pavilion in the middle of water. After you get ready, you can go into a mineral pond to take a bath. There is a building especially used for mineral water bathing. You can just go there and choose any type of room you wish for. If you don’t want to take a bath, you may just purchase some eggs, boil them in the defined hot pond and eat them joyfully. Or you can just sit and dip your feet into the natural hot water to relax yourself. That is fine. In case you want further information, you can call 053-772577, in order to contact the District Office of Pa Tueng directly. Huao Hin Fon Hot Springs is located at Ban Pa Tueng, Area 11, Pa Tueng District, Mae Chan County, Chiang Rai Province. Start your trip in Mae Chan downtown. Keep going straight along the road Mae Chan-Mae Ai, in order to reach Pa Tueng District. After driving for about 10 kilometres, you should see the sign with the direction to Huao Hin Fon Hot Springs. It should be accessible in no time. 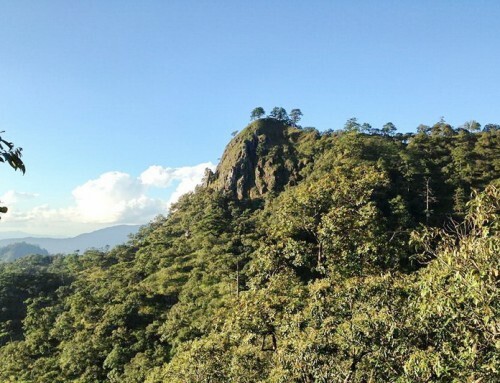 In fact, it is very easy to notice, as it is an important tourist attraction of the district and only about 700 metres away from the District Office. Beside of enjoying the nice hot water at Huao Hin Fon Hot Springs, you may want to continue a little bit further, in order to find these tourist attractions, which are also worthy of visiting. 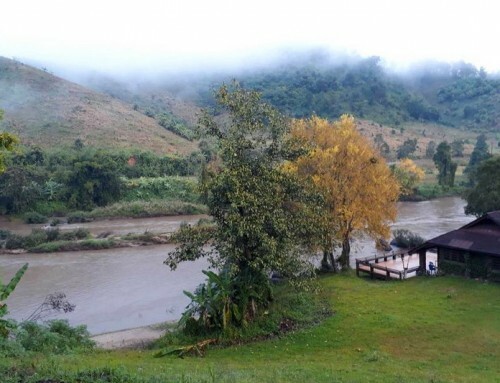 The branch in Mae Chan is only about 19 kilometres away from Huao Hin Fon Hot Springs. You will enjoy exploring this enormous tea plantation. 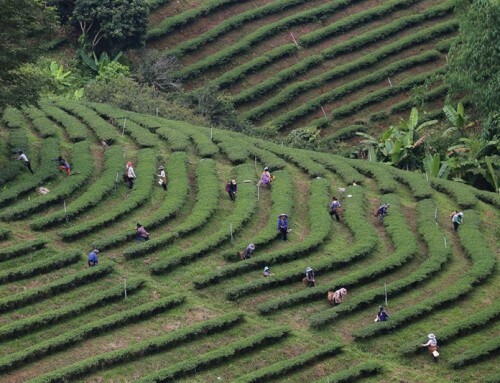 See the farmers grow tea of the finest quality. Drink tea. Eat desserts made of tea. Sit and relax on the terrace of the cafe. And purchase some tea products back to your home. Everything is guaranteed to be fresh and tasty. The monastery is about 22 kilometres away from Huao Hin Fon Hot Springs. You will feast your eyes with an unforgettable image there, monks go on their Binthabat on horses’ backs and villagers bestow food upon them. 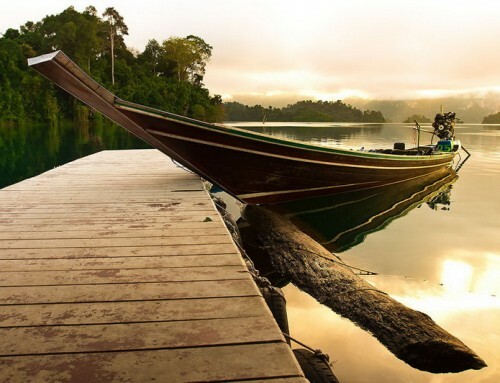 Chiang Rai hilltribe village Ban Ta Khao Pluak or other name “Ban Pa Ao” is located in Lae District, Muang County. There are 5 different ethnic groups there: Akha, Yao, Lahu, Palaung, and Kayan. In fact, Ban Ta Khao Pluak Hilltribe Village was not first started as a living community, but instead an agricultural area full of plant growing and animal raising. These 5 ethnic groups were later invited for working and living together. And Ban Ta Khao Pluak has been developed as a tourist attraction as you can see nowadays. 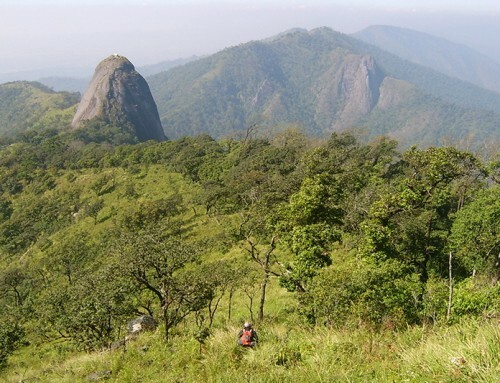 Doi Luang National Park contains mixed deciduous forest, evergreen 25 forest and deciduous dipterocarp forest. There are diverse kinds of wildlife and birds which covers an area of 1,170 square kilometers in Phan District. One interesting tourist attraction there is Pu Kaeng Waterfall, a beautiful massive waterfall in Chiang Rai. It is a large waterfall amid virgin jungle with water cascading down limestone brooks and it has 9 tiers containing lots of stalagmites and stalactites. Camping and forest trekking are available.